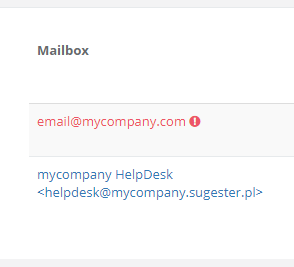 Sugester Help - Can I add the same mailbox in two different Sugester's accounts? Can I add the same mailbox in two different Sugester's accounts? These are the most common examples we've noticed. That's why, to make email configuration easier, we give you a tool to verify a mailbox while adding it, and at the same time disable it at the other account.